Sweden has called for help of European Union neighbours to put out wildfires, some raging in territories behind the arctic circle. 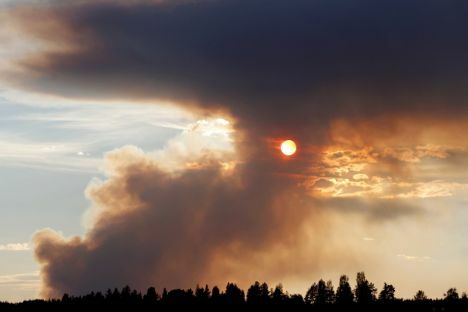 British news portal The Guardian reports on Wednesday, July 18, that the worst affected country, Sweden, has called for emergency assistance from its partners in the European Union to help fight the blazes. The wildfires have broken out across a wide range of its territory and prompted the evacuations of four communities, while tens of thousands of people have been warned to remain inside and close windows and vents to avoid smoke inhalation. According to the Copernicus Earth observation satellite, which provided daily updates of fires in Europe, showed more than 60 fires burning in Sweden, with sites also ablaze in the Arctic latitudes of Norway, Finland and Russia.